This post was first published in July 2008 and was updated in January 2017. Most, if not all, Linux distro come with the “Always on top” feature that allows you to pin an application window on top of others. 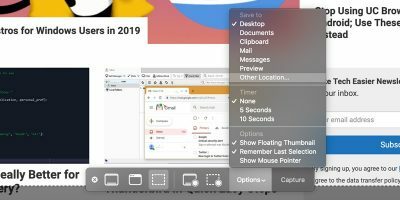 For macOS, this insanely useful feature was not available by default but can be added with the help of the Afloat application. 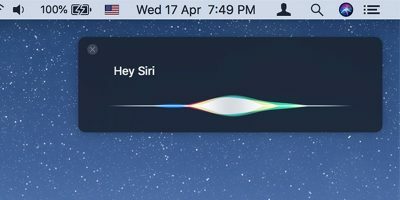 Afloat is a simple application that adds the “Always on top” solution to macOS. It makes use of SIMBL (short for SIMple Bundle Loader) which is an application enhancement loader for Mac OS X that allows third-party developers to modify and add functionality to applications developed with the Cocoa environment without access to the source code. 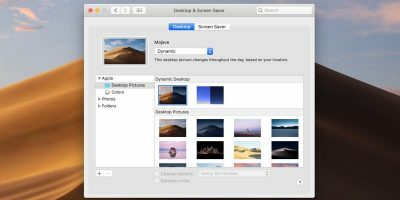 In this article we will show you how to install and use Afloat in macOS Sierra. 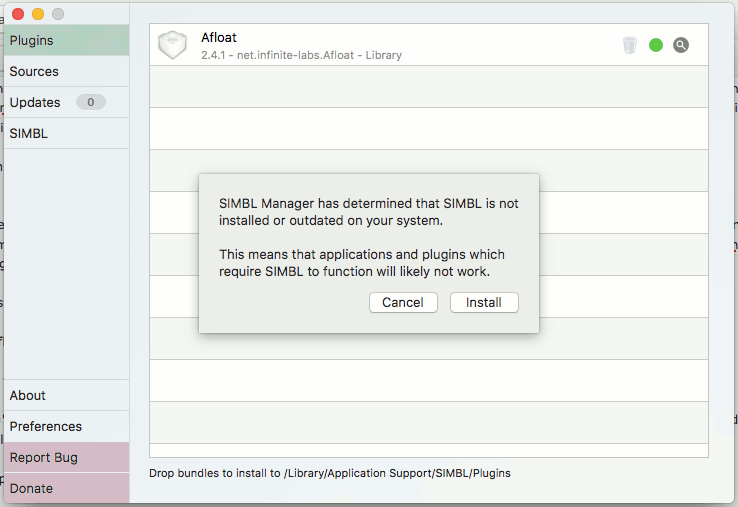 Afloat requires SIMBL to work. There are various sources for SIMBL out there, and the one that I found to work in macOS Sierra is mySIMBL. 1. Go to mySIMBL’s Github page and download the latest version of mySIMBL. 2. Extract the “mySIMBL_master.zip” file. You should now see a mySIMBL app. 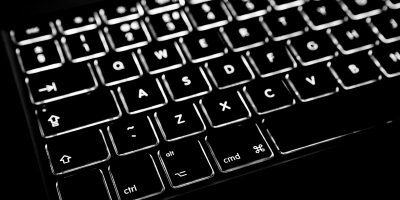 In some instances the installation might not be able to be carried out due to Mac’s System Integrity Protection. You will have to disable System Integrity Protection before you can run the installation. 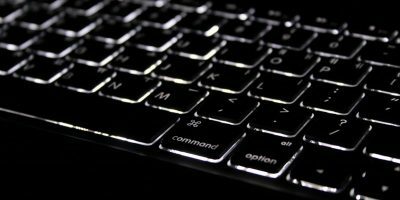 Reboot your Mac. When the startup screen shows up, press and hold the “Command + R” keys until the Apple logo appears on your screen. In the Terminal window type in csrutil disable and press Enter. Note: to re-enable System Integrity Protection, repeat the above steps but change the command to csrutil enable. It is recommended to re-enable System Integrity Protection after installing mySIMBL. 1. 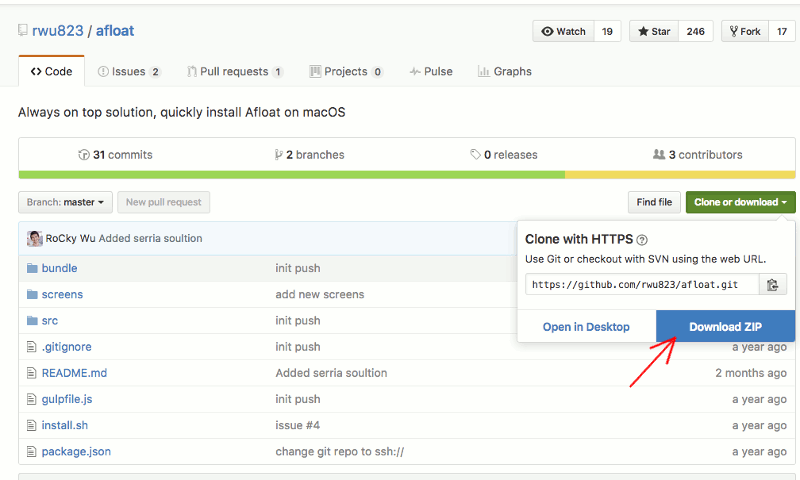 Now that you have installed mySIMBL, go to this Github page and download the whole Afloat repository. 3. 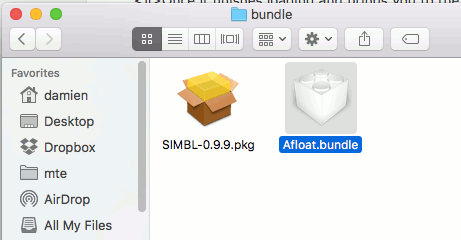 With the mySIMBL application still running, drag and drop the “Afloat.bundle” file to the mySIMBL app window. 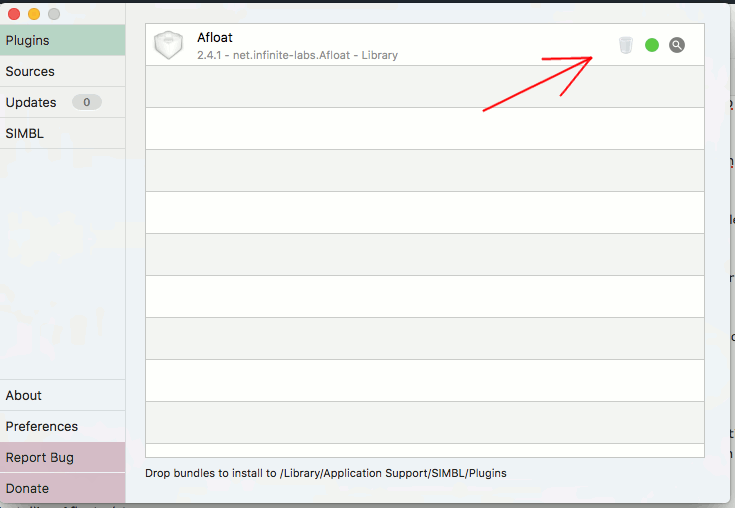 Ensure that Afloat appears in the mySIMBL Plugins window and that there is a green dot next to it. 4. Restart your Mac. Afloat should be working now. 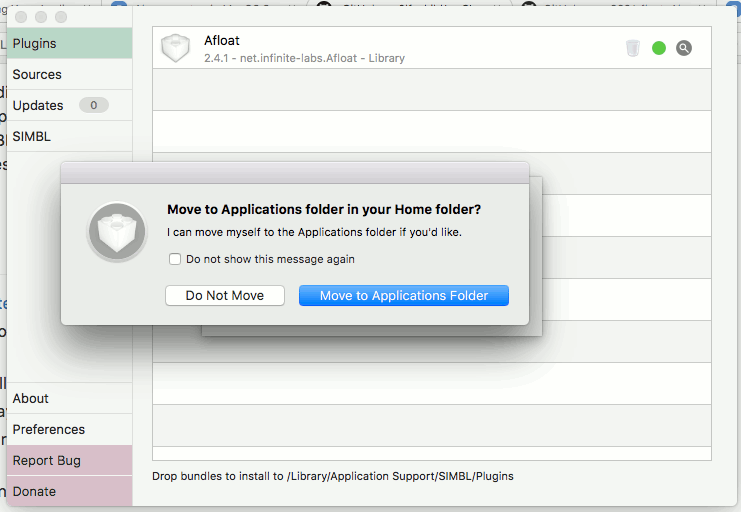 Do note that Afloat doesn’t work on all applications (for example, Firefox). 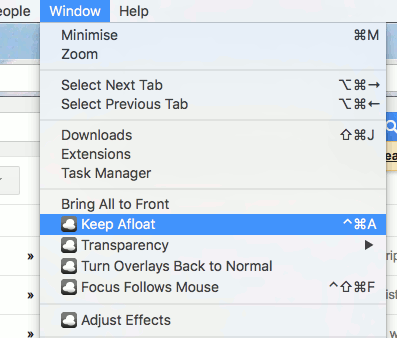 It only works for applications with support for SIMBL, so don’t be surprised when you don’t see the “Keep Afloat” function. 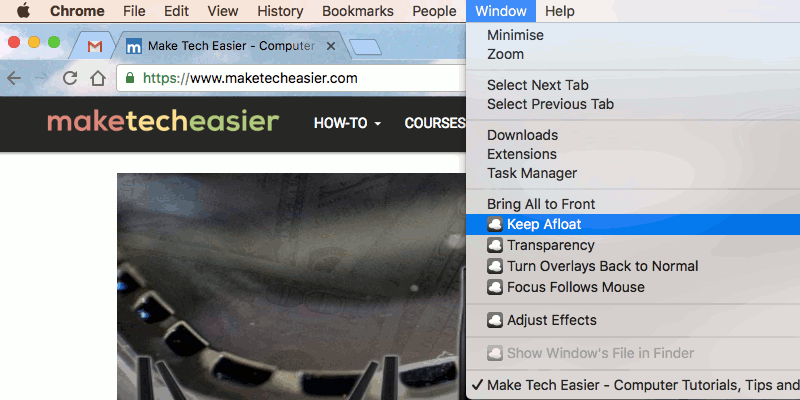 Other than keeping afloat, you can also set the transparency of your application window. 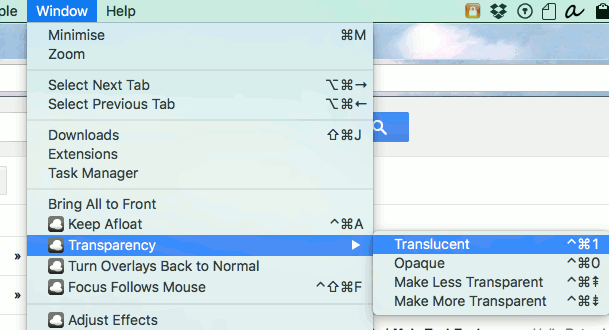 Set it via the “Window -> Transparency -> Translucent” menu. 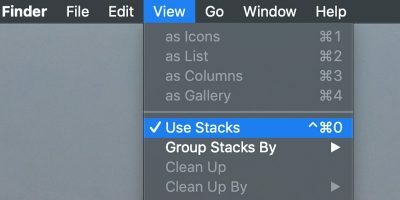 The “Always on Top” feature has helped me to improve my productivity by keeping the necessary information always available so that I don’t have to switch the application window every time. 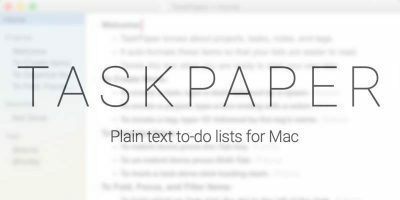 Thanks to Afloat, you can now add the “Always on Top” feature to Mac and have better productivity. Thanks for the detailed information! Keeping a window always afloat is an absolutely necessary element for notetaking while researching multiple sources simultaneously. Surprising that it is not a part of the standard OS. so i follow through all these steps and it worked fine last night, but after i re-enable SIP, this morning i woke up my mac and couldn’t find Afloat in Windows(even though in mySIMBL Afloat is in green light). Does this mean mySIMBL/Afloat will only work when i disable SIP? but idk is it safe to disable SIP from now on just because i want to use Afloat? Thank you so much for this super easy to follow tutorial. I used to use Afloat all the time, but it disappeared with some system update or another. Welcome back old friend! I still don’t understand why Apple has not implemented their own version of this into their OS. 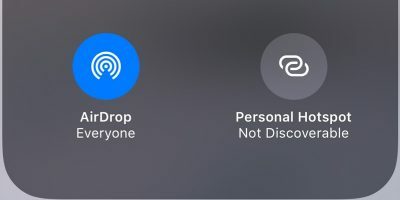 It’s such an essential feature. But I guess, as always, the answer to that question is because… Apple. SIMBL installs but doesn’t launch. 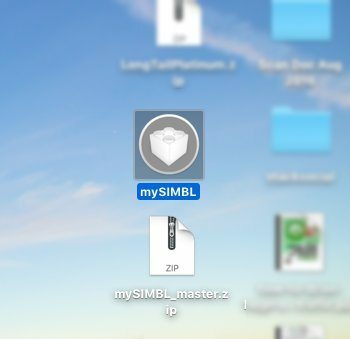 How do I launch SIMBL?? You can launch it just by double clicking on it (in the Applications folder). This is really great! I have been looking for such an app for quite some time. Simble does not want to install though. I suppose the fact that I have got filevault active might have something to do with it? In that case do you think it would work if I disable filevault, disable System Integrity Protection, try installing simble and afloat and then enable System Integrity Protection and Filevault again? Cheers and thanks for your thoughts on this.